For the whole week the sun shone every day. The island lived up to its reputation of being Scotland’s Sunshine Capital. That’s it for another 10 years. A’ Bhuain was from Monday to Friday. Today, Saturday, many were making their way home. In fact guests came to Tiree from all around the world. The shone brightly as the Home Comers boarded the ferry on foot and by car. 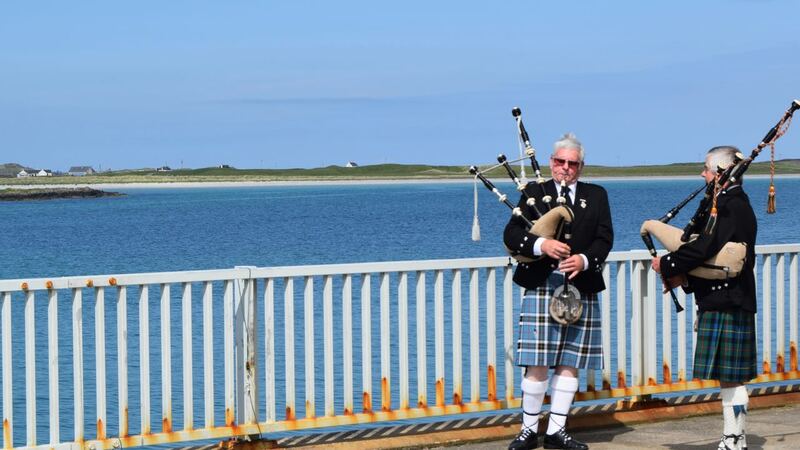 Two of Tiree’s Pipers were present to give our guests a good send off. Indeed, the pier was thronged by those saying “Goodbye”. 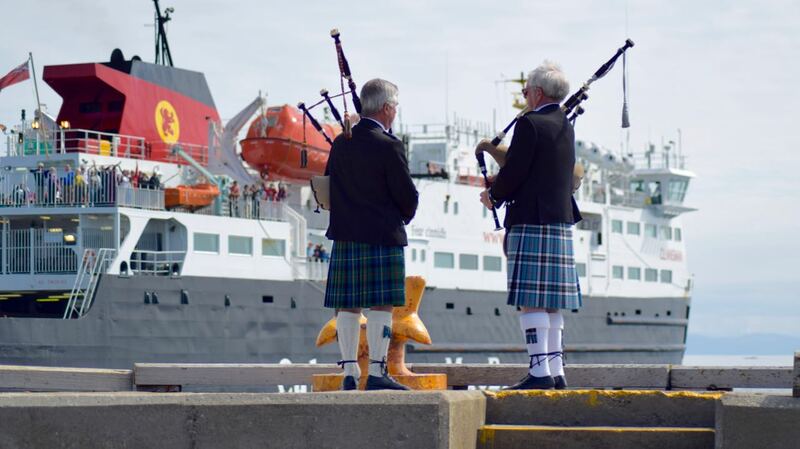 As the Mighty Clansman pulled away there was waving and dancing. 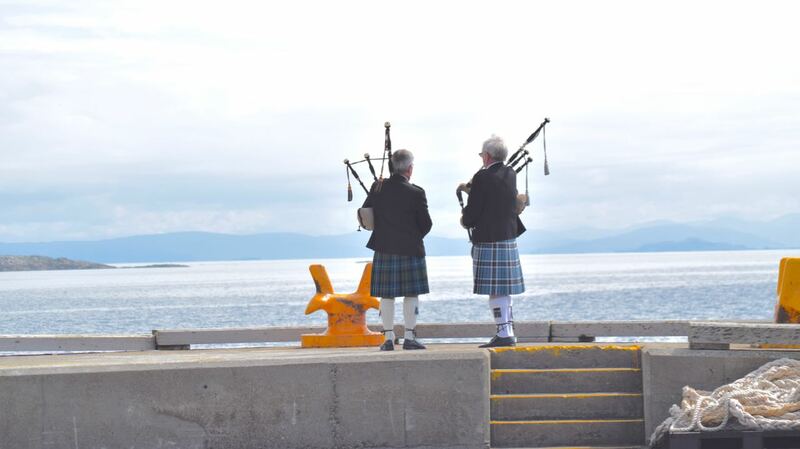 And the pipers played at the head of the pier. 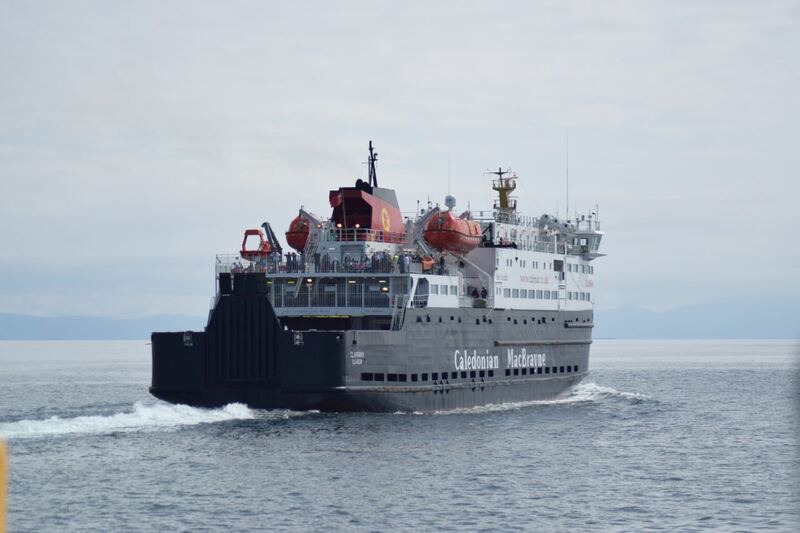 What a glorious day for the sail to Coll and Oban. May all our guests know a safe onward journey.